Pure Sugar Inc is the go to place for creative and unique cakes, pastries, desserts and sweet treats. We take pride in satisfying all your sweet cravings! Pure Sugar Inc is locally owned and operated by renowned Pastry Chef Michael Guasta. 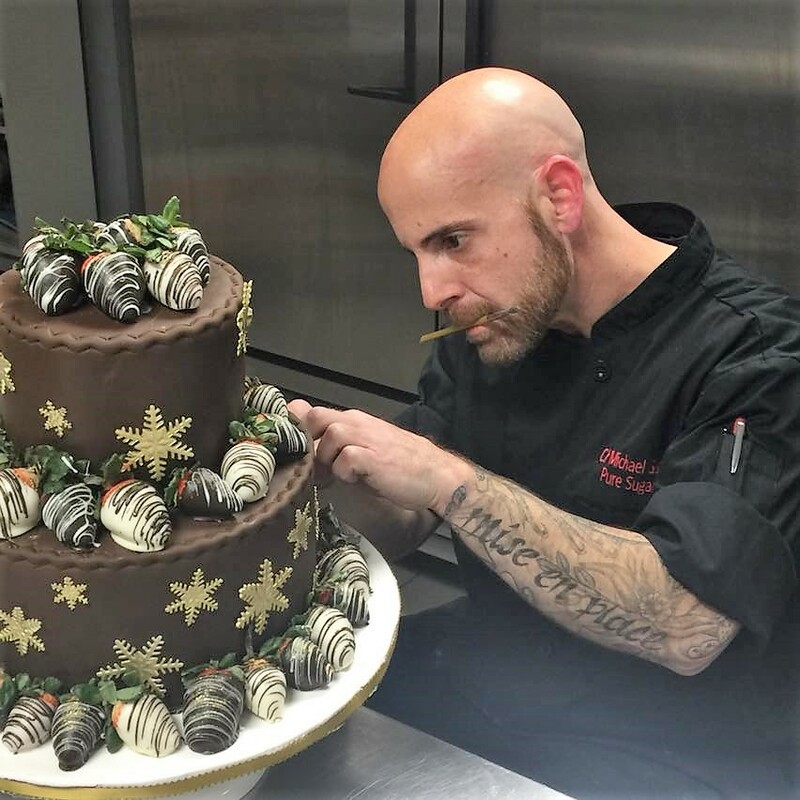 Owner, Chef Michael Guasta graduated as a Certified Pastry Chef from The Culinary Academy of Long Island in 2003 and from that moment, he hit the ground running. Michael has worked in upscale bakeries, hotels, country clubs and restaurants through the years. Whatever your vision, Michael can make your dessert the highlight of the event. There is no project too small or crazy. He thrives on the “Think Outside of the Box” concept. Michael’s goal is to make your custom creation personalized for you and your special needs. Imagination is boundless. Everyone dreams of the beautiful designs they would like to see as that special occasion cake or dessert display that would be the perfect touch to an amazing event. Our talented team of confectionary magicians will make your sweetest dreams come true. Take a moment to browse our gallery of remarkable baked works of art. You will find some wonderful inspiration for your special event.